Their parklet gives a buffer from the cars on 30th St. Whenever I need to sit alone drinking coffee–either reading or contemplating life–I go to Caffe Calabria. Don’t ask me why because it’s also a great place to socialize, but I find solace & peace here. Maybe it’s the parklet space that gives a break from the cars on 30th. What’s a parklet? It’s often times just 2 or 3 parking spaces that become an extension of the sidewalk, more or less a mini-park without the grass. Caffe Calabria created the space in 2013 & I’ve been a fan ever since. But it’s not just the parklet that I love, they do brew excellent coffee! I prefer just plain black coffee here because it’s so strong, but they also do great designs on their lattes & cappuccinos. They are one of the major roasters of coffee for other city restaurants. If you’re going to buy beans, go to the back room for a more private coffee lounge. Santa did for me this year…thanks, Santa! 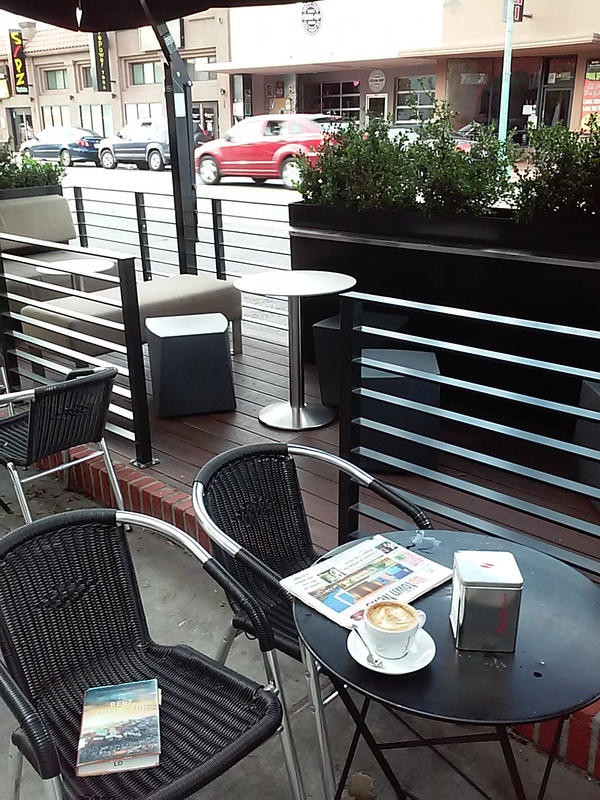 Caffe Calabria is in the heart of North Park, a popular urban neighborhood. Come for coffee, but stay to explore the shops on University & 30th or check the event calendar at http://www.northparksd.org/. My favorite North Park events are Ray at Night Art Walk on the 2nd Saturday night of every month (www.rayatnight.com) & the Bird Park Saturday night summer concerts (listed on http://www.northparksd.org when it’s closer to summer). If you’re here for an evening event, stay for pizza. 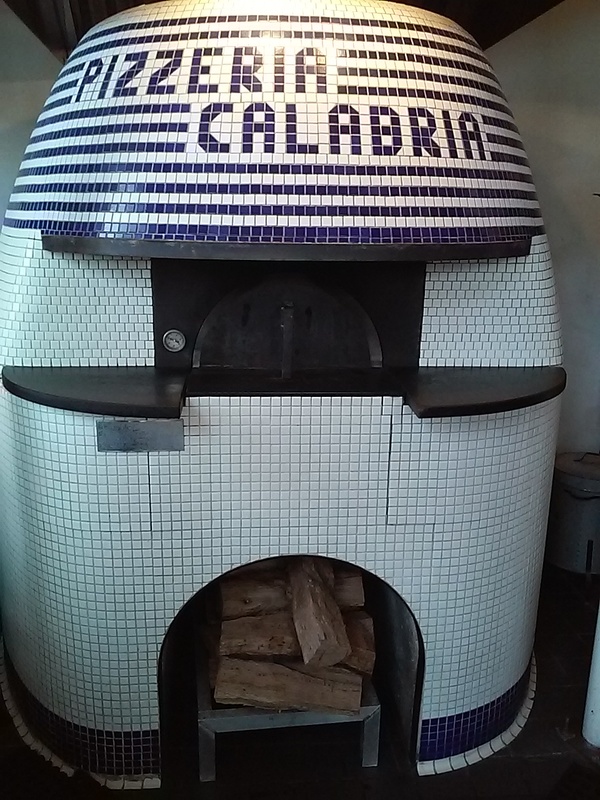 The owner had an Italian wood fired pizza oven built (even brought an oven maker from Naples to do the job). The pizza is known as Neapolitan, which is code for Naples-style pizza. Pizza is only offered Wed.-Sun. evenings, though. The café name has an Italian connection, too…Calabria is a region of Italy. We know it as the toe of the Italian boot shape, the part that is kicking Sicily. Coffee lovers will want to join the Caffeine Crawl on Jan. 24, 2015, as it includes a stop at Caffe Calabria. Order tickets at http://www.caffeinecrawl.com/san-diego.html. Their pizza oven bakes wood fired pizza Neapolitan style.